Apartment for rent close to the beach in Torrevieja Costa Blanca. A Punta Prima stay in one of the 3 beautiful Resorts with beautifully landscaped sub-tropical gardens, fully equipped luxury apartments and child-friendly swimming pools at less than 300 meters from the sea and beaches on the Orihuela Costa and only 3 kilometers south of the center of Torrevieja. All facilities such as terraces, bars, shops, supermarkets, bus stop and beach are within walking distance. This beautiful corner apartment was completed in September 2008 and is located on the 1st floor of the newest park of Punta Prima, El Parque La Recoleta. The apartment has 2 bedrooms with large fitted wardrobes, 1 bathroom with bath and underfloor heating, a spacious living room with satellite TV, WIFI and trendy furniture and an open kitchen separated with a table-bar, equipped with all appliances. From the sunny balcony, which is located on the south-west, you have a beautiful view over the park and from your parking lot along the road next to the entrance of the residence, you can easily reach your holiday home by elevator. In short, a beautiful apartment where you can celebrate a luxurious and quality holiday for a reasonable price. Additional costs for electricity; € 30 extra per stay will be charged. The residence is fully enclosed and secured with cameras and physical surveillance. Special winter prices from November to March on request. 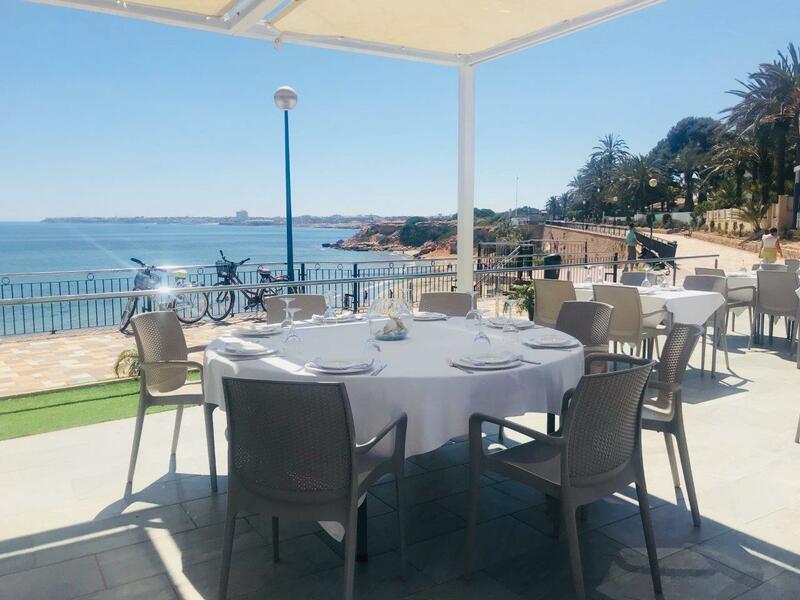 If you want to go out, you can go to Zenia Boulevard at 3 kilometers, the Friday market of Torrevieja, a day of shopping in the Centro Commercial of Torrevieja with a bowling, mini funfair and a cinema. In the vicinity are also plenty of opportunities for water sports, karting, horseback riding, golf and going out, good food, etc. etc. We can also provide car rental, (domestic) excursions and airport service. Please feel free to ask about our car rental and airport service options, excursion program and accompanying prices. Key collection is possible on any day of the week. You can move into your holiday home on the 1st day of stay between 2 and 8 pm. On the day of departure you normally leave the house before 11 am. Other times are possible in consultation with the manager. On your arrival and during your holiday the administrators of Thuisinspanje.net can provide you with various services to make your holiday as easy as possible. They welcome you and personally do the key handover and give you some useful tips about the nearby area. They are also the point of contact during your stay. Holiday apartment on the Costa Blanca. Max. persons. Basic price is 4 persons.